The phrase “paperless office” isn’t technically a form of greenwashing, but it’s the same kind of attempt at ocular wool-pulling that we all know and loathe. Fact is, the average modern business is built up around the office printer. Reports. Letters. Posters with “inspiring” slogans to perk up the office, like "Use Less Paper". For the ecologically-conscious, it’s a place for major improvement. Largely thanks to such offices, the average American goes through 681 pounds of bleached, thinly-sliced tree every year. Technology is trying to catch up, but while we’re waiting for e-paper (such as IBM’s e-Newspaper) to become universally affordable, how can we prevent even more forests from becoming print-runs? The answer, as reported by ENN, has been with us all along. Treeless, chlorine-free paper has existed for a thousand years, in the form of compressed cloth, hemp, papyrus, and numerous other plant fibers that can be flattened, dried and made to hold ink. 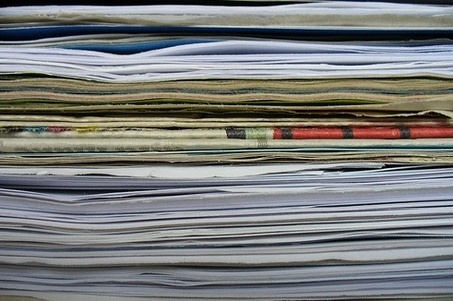 Many developing countries still rely on these sustainable forms of paper, which just goes to show what we Westerners know.